You have lots of choices. You can pick a topic you like from the list below. Or you can mix and match topics OR let Ron create a special session just for you! 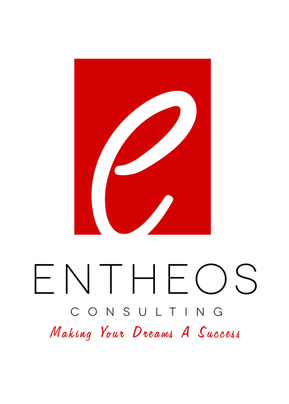 ​With 15 years of speaking, training, consulting, and coaching expertise, Ron has a wide range of knowledge, experience, and materials perfect for crafting a personalized message specifically for your organization or event. He doesn't use canned presentations. Let's be honest; IT services are not the automotive industry, controlling is not marketing, and young professionals are not CEOs (yet). In a perfect world all employees would be: high achieving, self-motivated, engaging, team players who see the big picture and always strive to do their best to get the job done on time without complaining. In the real world many employees: simply “meet expectations,” lack initiative, bring their personal life to work, stress over every change and whine about having to WORK….on the job! “Enough!” Ron will take you inside the minds of even your most difficult employees so you can turn negative attitudes into positive, entitlement into accountability, complacency into productivity, complaining into solutions and “that’s not my job” into ownership. Isn't it time to learn how to change even your worst nightmare into your star performer? (or send them to your competitor as a new hire!) Now there’s an idea! Think you've heard everything there is to know about SALES? Then make way for some game-changing, money-making, customer-attracting ideas that will literally blow the roof off “sales done the old way.” First step– no more excuses. If you believe that PRICE, PRODUCT, MARKETING or TERRITORY are the main reasons for not closing the deal, think again. Customers tell a different story. Ron takes you right smack inside the mind of today’s new breed of customer. Bargain-hunting. Demanding. Indecisive. Internet savvy. Overwhelmed with choices. And, very SELECTIVE about WHO they CHOOSE to CONNECT with. With his tell-it-like-it-is delivery and sprinkled with humor, Ron is ready to help you sell like never before so you can sit back and watch both your business and your bank account grow and GROW! Business as Usual? No way! Status quo? Move over? Change? Keep it Coming! Bottom line: Your future success depends on your ability to STRETCH YOURSELF past previous performances, OUT-THINK old ideas and OUT-MANEUVER anyone who says it can’t be done. Simply “meeting expectations” just doesn't cut it anymore. YOU and YOUR BRAND have to be so extraordinarily AWESOME, UNIQUE and VITAL that people will CHOOSE to do business with YOU instead of your competitor! Ready? 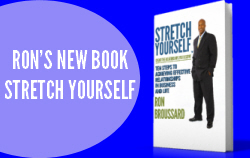 Meet Relations expert Ron Broussard who is both refreshingly candid and wonderfully entertaining. He will definitely bring out your edgy, creative, competitive side as he takes you inside the mindset of today’s market and delivers some killer, powerhouse strategies that will help you increase sales, profits, and your customer base. Competition – watch out! Successful people are GREAT CONNECTORS. They know how to get consensus, ownership and buy-in from the people who count–without manipulation, intimidation, sacrificing relationships, or stepping on toes. Bottom line: Getting the job done the right way hinges on your ability to “sell” yourself and your ideas in such a trusting and positive way that people will CHOOSE to CONNECT with you and: Follow your lead. Cooperate with you. Learn from you. Buy from you. Partner with you. And…support you so you can make things happen! You will learn how to negotiate differences, influence behaviors, change attitudes, overcome objections, and close the deal so you can create an amazing network of PEOPLE who have one common goal: to willingly help you GET THE JOB DONE NOW! Identify key areas to effectively network with intention. Discover the three traps networking events fall into. Examine the true power of networking relationships. Learn the secret to driving engagement and collaboration with your network. Takeaway the action steps necessary to create lasting relationships in your network. Difficult people? Move over! Crazy demands? Under control! Critical conversations or creative thinking? No problem! Imagine what you could accomplish if you could truly understand what makes people do what they do and say what they say (including yourself!) Research shows that the #1 key to SUCCESS is the ability to GET ALONG WITH OTHER PEOPLE. Bottom line: how you CHOOSE to relate to, communicate with, be accountable to, resolve conflict with and garner respect from other people will directly impact your ability to: Lead effectively. Increase sales. Maximize productivity and performance. Attract customers. Work as a team. Enjoy life. Stay healthy. Be happy. And… Experience SUCCESS. Understanding the POWER of relationships start with you - so YOU can ACT, rather than REACT to whatever life throws your way. 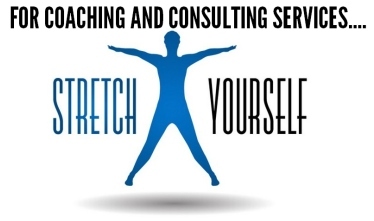 Get ready to STRETCH YOURSELF for less stress and more success! Learn to channel your emotions into positive action that get results. Learn how our brain falls into a familiarity trap, stopping us from spotting new opportunities or identifying problems. Explore how we see only "part of the picture". Identify 3 tactics help you STRETCH your thinking. Practice "If it ain't broke, break it...and then fix it exercises.